Every day we are helping growers to meet the growing population’s need for safe, affordable and nutritious food,grown in a sustainable way. Concious the role of R&D in the evolution of market competitive hybrids and other agribusiness products, the company has continued to invest heavily in R&D to augment research facilities, farm infrastructure development, and mechanization of farm operations and in human resource deployment. Our continue divestment in research and development adds value to our existing businesses and creates many more opportunities for future growth. Such thoughtful efforts of the past are now contributing to the consolidation and sustainability of gains. The company has extended cropped area and diversified crops by adding newer ones for agri-seed business, Vegetables are the additions to the crop cafeteria of the company. Furthermore, the company has successfully launched several new hybrids of cotton, maize, bajra & OPVs in wheat, paddy and mustard in the market. The product folio is also expanded for rice and vegetable crops inclusive of both-hybrids and OPVs. To meet our 2020 commitments Super Seeds has adopted a new vision for agriculture built upon three pillars. These pillars are advanced breeding, biotechnology, and improved agronomic practices. When all three components are fully integrated we can provide the best tools and technology to farmers so that they can meet the goals of feeding, clothing, and fuelling the world. Breeding is largely focused on improving the overall genetics of a crop by using technology to identify the most powerful plant breeding stock. Biotechnology, or genetic engineering, is the process of inserting a gene from one species, like a plant or a bacterium, into another species. At Super Seeds our biotechnology work is concentrated on cotton. In the human world, sometimes our relationships are formed by friends or family who recommend potential partners. In the world of cotton, maize and various other crops, Super seeds scientists act as the matchmakers in the act of plant breeding. In this role, they can more precisely match the best potential parent plants to produce the best possible offspring that will be planted by farmers around the world. Plant breeding is the act of bringing together two specific parent plants to produce a new “offspring” plant. Just like a newborn baby will share characteristics of each of its parents, a new seed also will share characteristics of the “mother” and “father” plants that created it. The researchers study the possible parents to match. Much like people say they have preferences for various human trait characteristics (see, “a tall man with blond hair and blue eyes”), researchers are looking for certain trait characteristics in plants for future generations of the plants. For example, over time, certain plants in a species have developed good tolerance to drought; others have developed tolerance to a certain disease. If a researcher can match plants with these characteristics, he may be able to breed a plant with a good mix of the two characteristics. In the past, this work was done in greenhouses and fields, and could be very time-consuming. But with today’s technologies, our plant breeders can see the DNA and genetics of plants and make more informed decisions earlier in the breeding process. By the time they get into field research trials, they have already pre-screened and eliminated the plants that may not be what they’re looking for. Super Seeds can continuously deliver unique combinations of new genetics through a molecular breeding. What is remarkable about this process is we can analyze each seed before planting and only plant the seeds with the best potential—greatly improving the efficiency of the breeding process and the quality of the plants. Molecular breeding, in practice, creates an inventory of a plant’s genes and what those genes do. Once the DNA tied to those genes are identified (known as markers), our scientists can use those markers to tell which plants we want to use to breed the next generation of high-performing plants. It’s like going from using a compass to a GPS system, tremendously cutting down on time and resources. High yielding cotton lines / hybrids with bollgard technology for bollworm resistance. High yielding maize hybrids of different maturity groups. Elite rice lines / hybrids with bacterial leaf blight and blast resistance with high yield. High yielding wheat lines with high grain protein, thermal tolerance and rust resistance. High yielding mustard lines / hybrids with low glucosinolate & erucic acid (<2%). Biotechnology, or genetic engineering, is the process of using living organisms to improve qualities of a plant by such as the plant’s ability to protect itself against damage or improving upon its ability to grow and produce. Plant biotechnology allows for the transfer of a greater variety of genetic information in a more precise, controlled manner. It allows for the transfer of one, or a few genes that can introduce traits such as better insect and weed control. Biotechnology is just one component of Super Seeds three-pronged approach to delivering increased yields sustainably. Farmers are faced with a lot of challenges, and that’s why we’re developing a number of product advancements within our biotechnology pipeline. In view of the enormous scope of Biotechnology applications in agriculture and agri business, the Super Seed Company has forged ahead to invest liberally in establishing the state of the art Research and Development Facilities managed by qualified and trained science managers. 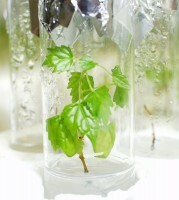 The Biotech programme envisages to introgress the transgenes into parental lines for hybrid production. The on-going programme involves i) Introgression of BT gene (Bollgard incorporation in to parental lines of cotton ii) stacking two BT genes (Bollgard II) in to parental lines of cotton and develop BT cotton hybrids. The marker based DNA technology is helping in fast track development of lines through back cross breeding. Through the conjunct use of biotechnology and hybrid technology is the way forward for evolution of new generation hybrids. Super Seeds has made a commitment to sustainable agriculture - this starts with improving the land and using it more efficiently. 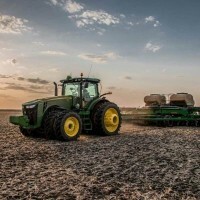 Agronomic practices are steps farmers incorporate into their farm management systems to improve soil quality, enhance water use, manage crop residue and improve the environment through better fertilizer management. These steps not only improve a farmer’s bottom line by decreasing input costs, but also improve the environment by decreasing water use and over-fertilization. Agronomic practices are a vital part of Super Seeds three pillars of sustainable agriculture. When used in conjunction with the other two -- biotechnology and breeding -- farmers can see significant increases in yield and improved quality of the land through agronomic practices. What is Super Seeds doing? Super Seeds is devoted to doubling yields by 2020 and helping farmers produce more while using fewer resources. Super Seeds devotion to sustainability is dependent upon agronomics. That’s why we’re continually researching ways to improve the effectiveness of agronomic practices. Data from these studies is used to determine the best environment for specific crop varieties.